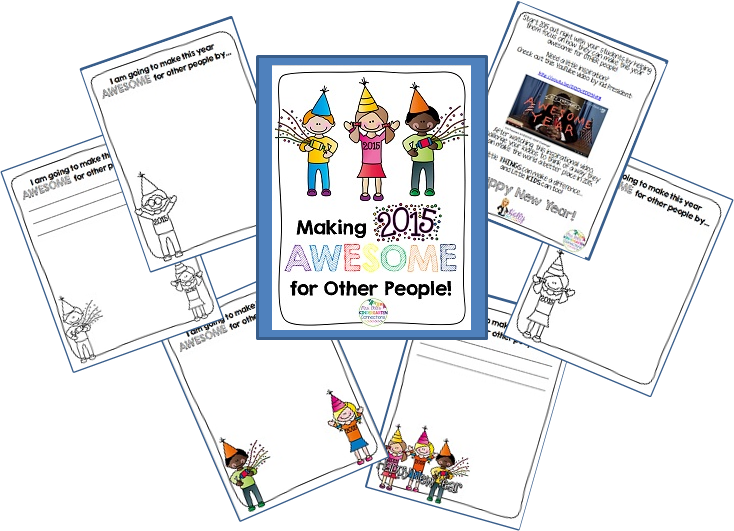 Blog Hoppin': Making 2015 AWESOME for OTHER people! Start 2015 out right with your students by helping them focus on how they can make this year awesome for OTHER people! After watching this inspirational video, challenge your kiddos to think of a way they can make the world a better place in 2015.
and Little KIDS can too! This will be a great way to continue the work we did in December to spread kindness - thanks so much!! I just LOVE LOVE LOVE this idea!